When it comes to dining in Mont Tremblant, you never have to leave the village to find delicious food that the whole family will enjoy. We ate all of our meals in the village and these stood out as our favorite Mont Tremblant restaurants for scrumptious food, exceptional service, welcoming atmosphere, and fair prices. There are so many amazing activities to add to your Mont Tremblant bucket list that you’ll be grateful that you never have to leave the village to refuel. 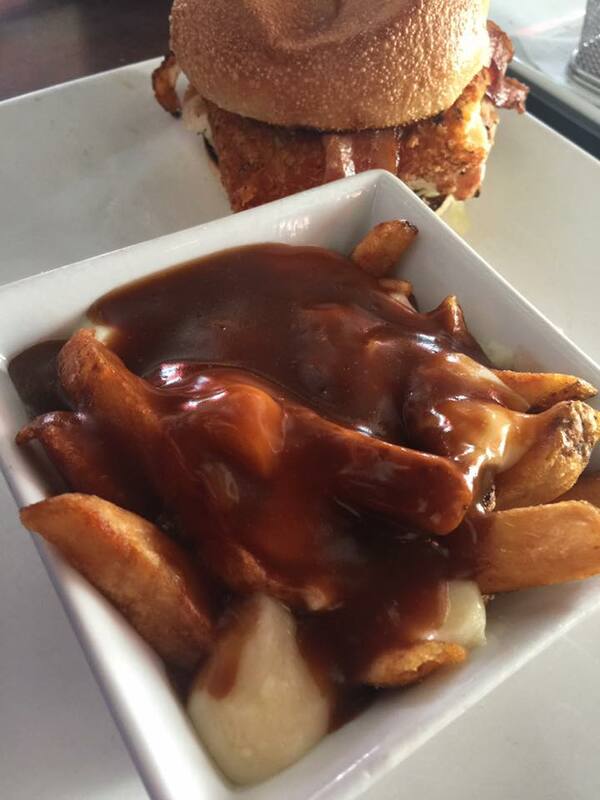 One of the most popular Mont Tremblant restaurants in the pedestrian village is Le Shack. It stands at the foot of the south side of Mont Tremblant and despite it’s large size, you’ll still need to wait for a table at lunch and dinner time. It’s worth the wait though! The “Big Shack,” made of 100% pure beef, is their signature burger and, served with home fries, one of our most popular requests. But they also offer large salads, a daily fish dish, and various other entrees. peas, and fries. It was like having my mother’s home cooking. Located within the heart of the Mont-Tremblant Station, Pizzateria is a must for pizza lovers. It’s smaller than Le Shack, adding to the warm, friendly, and welcoming atmosphere. 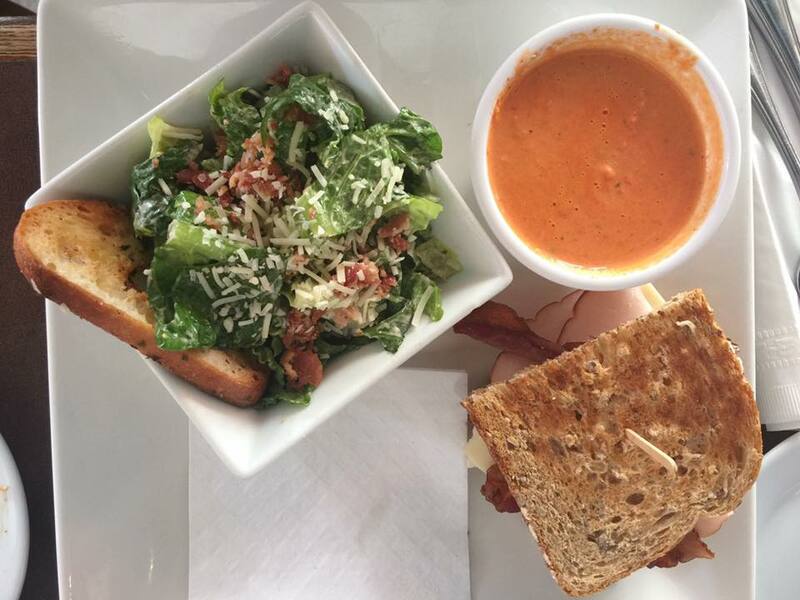 The heaters will keep you feeling extra toasty during your meal and the large menu gives you lots of options. 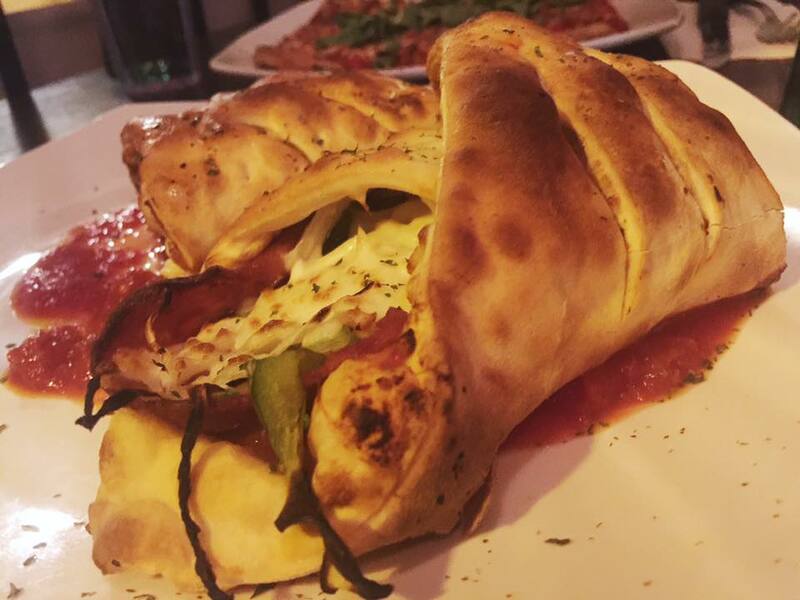 I’m a huge fan of calzones and the Marinated Chicken calzone had everything I wanted (onions, green peppers, tomatoes, and mozzarella) but I wanted pepperoni instead of chicken. I asked the waitress if I could switch and it was no problem. Perfect! 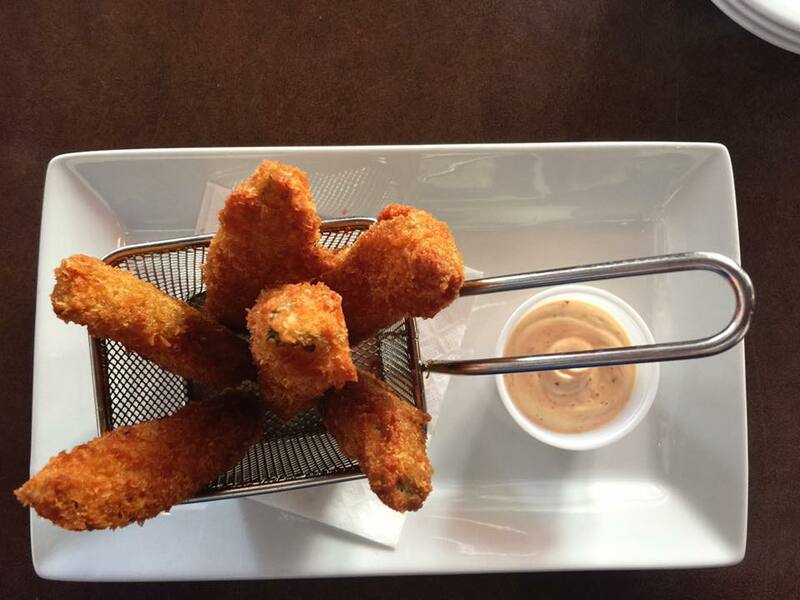 The most relaxed of the Mont Tremblant restaurants that we visited, Casey’s offers new flavors with a kick. Their portions are a great fit for the mega appetite you build from hitting the slopes all day and their food is bursting with flavor. We each ordered something wildly different but we couldn’t leave without trying their fired pickles. The spicy sauce added just the right amount of zest to the pickles and they were filled with juicy goodness. The most unique Mont Tremblant restaurant that we visited was La Savoie. 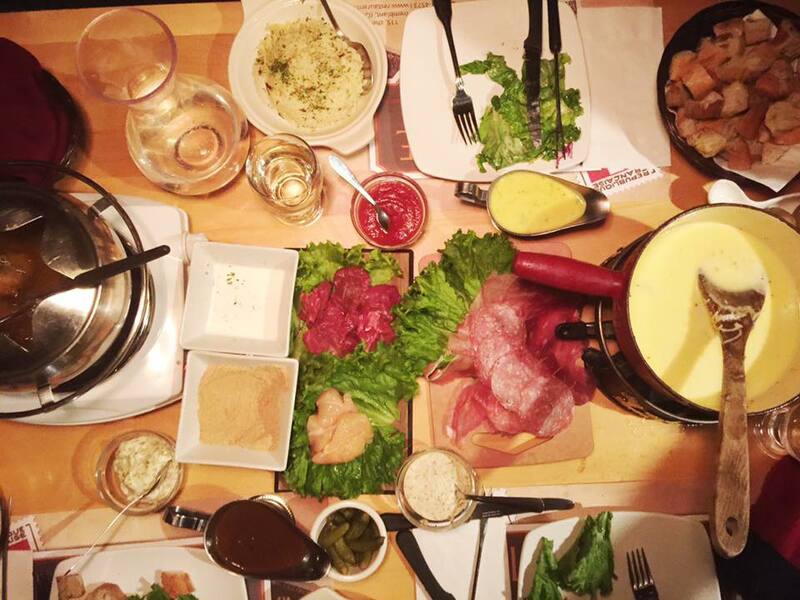 It’s a Swiss eatery serving fondue in a quaint, lodge-like dining room. If you’re in the mood for a hearty meal after a busy day of outdoor fun in Mont Tremblant, choose from a selection of meats, seafood, cheese, and side dishes. Finish things off in style with their amazing chocolate fondue. As a small group of three, we worried that we wouldn’t be able to try multiple things from the menu but they scaled it to fit our group so we could order from the cheese menu and the meat menu. The portions are so large that we didn’t have enough room for dessert. My suggestion would be to visit La Savoie twice, once for your main meal and return another time for dessert. 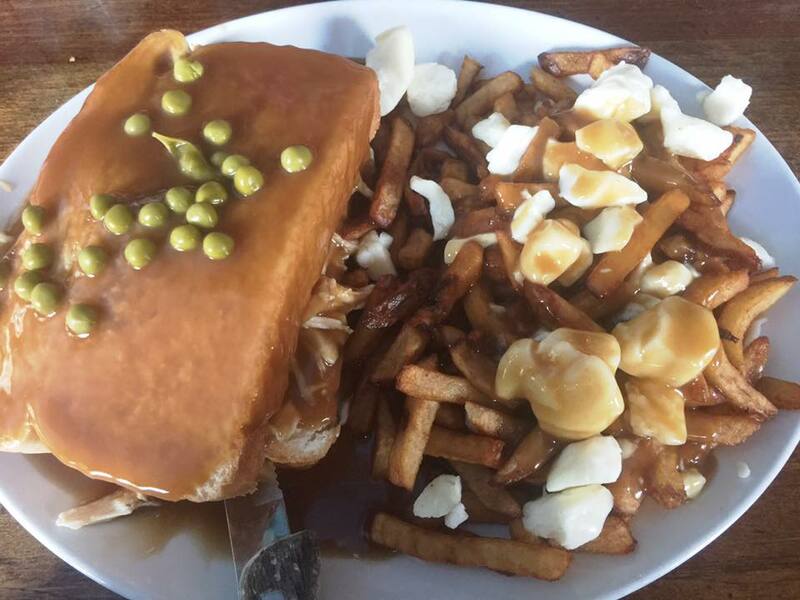 Mont Tremblant restaurants are plentiful and I don’t think you can go wrong with any choices in the village, but these ones topped our list.